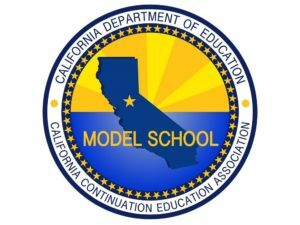 The Model Continuation High School Recognition Program is sponsored by the California Department of Education (CDE), Educational Options Division, in cooperation with the California Continuation Education Association (CCEA). CDE receives numerous requests from school districts, the media, and other state agencies for a list of effective continuation schools that they may visit. 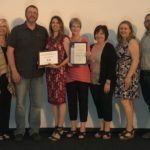 The Model Continuation Education Recognition Program identifies and recognizes outstanding programs and creates a resource bank of quality programs for school visitations. These schools provide exemplary programs to at-risk youth through the use of innovative instructional strategies, flexible scheduling, and guidance and counseling services. CDE encourages all continuation high schools that have been in operation a minimum of two years and meet other eligibility criteria to review their programs and submit an application for statewide recognition. Selected schools are Model Schools for three years; after that, those schools will need to re-apply. 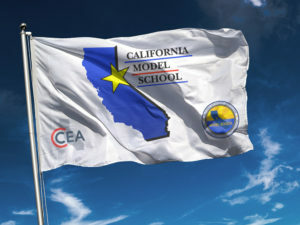 We would like to congratulate our current Model Schools! Each is listed below in alphabetical order with contact information — please note: contacts for each school will change from time to time.